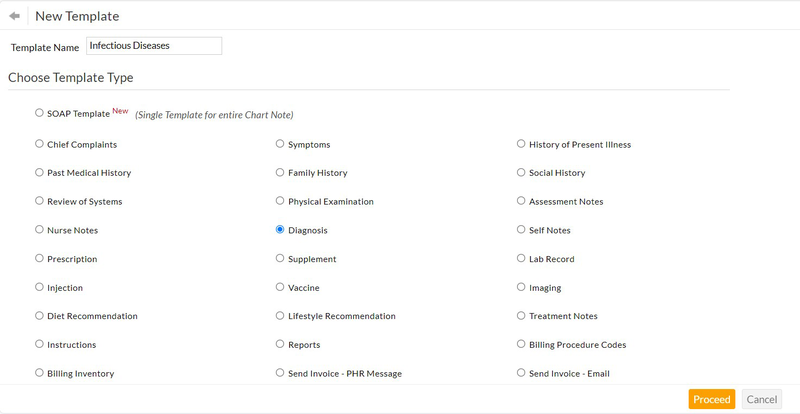 Templates helps you to document patient visits quickly. It saves time by minimizing the time involved in generating the patient summary and thus you can focus more on the patient care than working with the software. Go to Settings > Templates > ChARM Library and go through the default templates provided by ChARM EHR. If an existing template match your requirement, you can import them by clicking the "Import" option present against the template. Once the template is imported, you can also modify the template to suit your practice needs. You can also create new templates from the "My Templates" option. To create a new template, click on the "New Template" link. 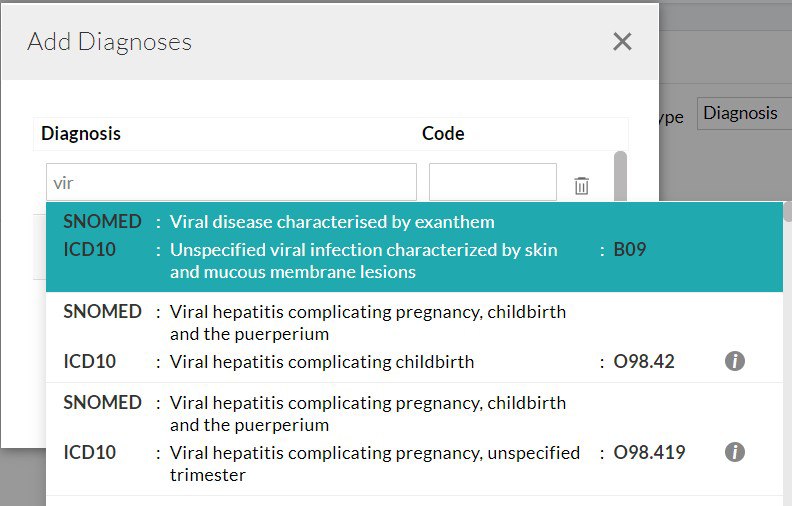 Enter the "Template Name" and choose the "Template Type" (e.g., Diagnosis Template). Click on "Proceed". Add the template entries by clicking on "Add Item" button. Add the diagnoses codes and click "OK". Once all the template items are added, click on the "Save" button to save the template. Whenever a template is created, it gets saved under "My Templates" by default and are available only for you to access. You can also share your template with your practice for the benefit of other members in your practice. You can do this by clicking on "Share" and by choosing "Share to Practice" option. You can also share the template with the ChARM EHR community by sharing it to the ChARM Library.